We all knew him as an actor who starred in films that made him famous the world over, but he was also a tremendous prankster, joker and raconteur - in fact, he was well known as one of the nicest guys in the business, and someone who was always up for some fun. Start reading Last Man Standing: Tales from Tinseltown on your Kindle in under a minute. 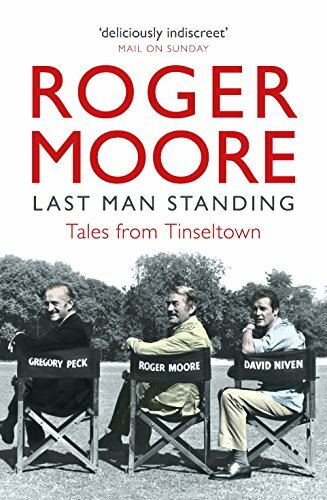 In this fabulous collection of true stories from his stellar career, Roger Moore lifts the lid on the movie business, from Hollywood to Pinewood. It features outrageous tales from his own life and career as well as those told to him by a host of stars and filmmakers. 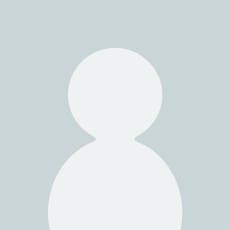 I’m a huge fan of Sir Roger who not only enjoyed a lengthy and successful career in show business but has worked as a goodwill ambassador for UNICEF following on from him hanging up his PPK back in the mid 1980s. Its probably fair to say that he has become a popular and well respected national treasure as he ages gracefully. When I grew up in the 1970s and 80s Moore was a huge star; in between making the Bond movies (which I grew up watching) he also made some excellent actions movies, specially designed to watch with your Dad: Gold, Sea Wolves, North Sea Hijack, Wild Geese and Cannonball Run for example, not to mention TV series such as The Saint and my personal favourite, The Persuaders. In his third outing as an author “Tales from Tinseltown” its clear that his off screen life was almost as interesting as what happened to him while on set. The book lives up to its title (sub-title: Last Man Standing; a quote from Frank Sinatra, 'Who's going to be left to turn the light off? ', Roger hopes it will be him) as its essentially Rodge relaying decades worth of anecdotes to Gareth Owen. He’s never nasty or malicious when he name checks practically every movie star from the 1950s onwards. The tales are all relayed in a lighthearted manner, along with some candid photographs. These snaps highlight Rodge modelling high fashion over the decades along with him clowning around: my personal favourite is Peter Sellers painting Rogers toenails for some forgotten reason. 'like a hero … can remember lines and ... work cheaply'. Thankfully, Moore is very much still standing and that is something which we should be very grateful indeed; highly recommended. 5.0 out of 5 starsA REALLY GOOD BUY ---- HAVE SOME TISSUES READY . BEING A LIFE-LONG FAN OF ( SIR ) ROGER MOORE , I READ THIS BOOK WITH A TISSUE IN MY HAND --- BECAUSE IT IS SO HILARIOUSLY FUNNY--IT MADE ME LAUGH OUT LOUD . TYPICAL ROGER MOORE SELF-EFFACING JOKES , AND GOOD HUMOUR THROUGHOUT . MY FAVOURITE BITS ---- THE STORY OF ' NOSMO KING' , AND OF SHELLEY WINTERS WEARING ROGER MOORE'S THERMAL UNDERWEAR ! THERE WERE SAD TEARS AS WELL THOUGH -- THIS FANTASTIC ACTOR HAD DIED THE DAY I PURCHASED THE BOOK . MY FAVOURITE ' JAMES BOND' . R.I.P. Nothing wrong with this book. Nothing particularly right about it. It's not an autobiography of any kind; it's just a collection of short anecdotes of people Roger knew that I guess didn't fit into any of this other books. It's a very light read and would be a good 'bathroom book' if you're the kind of person who reads in the bog as you can dip in and out of the book easily. In print, Roger Moore doesn't come across nearly as entertaining as he probably is in real life, and he's far too concerned to be nice to everyone to really have anything deeply amusing to tell. You need a bit of spice to go with the sugar, but he doesn't deliver here. A wonderful book, lots of anecdotes, an insight into the world of cinema films and the characters. I don't think that I have laughed so much or read out snippets to my husband in any other book! Would recommend this book to anyone and everyone - good to read on a dark weather day to really lift the spirits. Roger Moore has always been one of my favourite actors and my admiration for him has increased. Roger Moore's tales are amusing anecdotes from an age when things were very different indeed. You can hear him in your head as you read, he writes as he speaks and that's rather enjoyable. The downside is that it all seems a little hollow and lacks the context and linear time frame of say, David Niven's books. 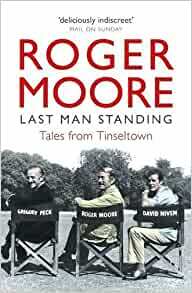 In any event they are a charming read and a surprising insight into the mind of Roger Moore. How we see things is so often a gateway to our psychology - the good thing is that Roger doesn't disappoint. This is him, you know it, you feel it and that's what made it worthwhile. Great book especially if your slightly older like myself enjoyed this book would recommend this book again only for over 40,s as telling story's of some of the great actors like David Niven Bette Davis outstanding and funny . Anything by Roger is enjoyable, and so is this book. However anyone buying this book thinking that it is a Autobiography, beware, it is not. It is an enjoyable collection of anecdotes from the movie world, and nothing more, but still worth buying. 3.0 out of 5 starsA fun but very light read. He has a nice, self-deprecating writing style which makes the pages turn quickly. As a book of anecdotes though most are very slight, and a number don't actually have any real point or punchline. An easy read but easily forgotten.